After the fantastic entry we had for The Dialogue in December with Matias Duarte, we are back with 2016’s first entry: Greg Kasavin of Supergiant Games. 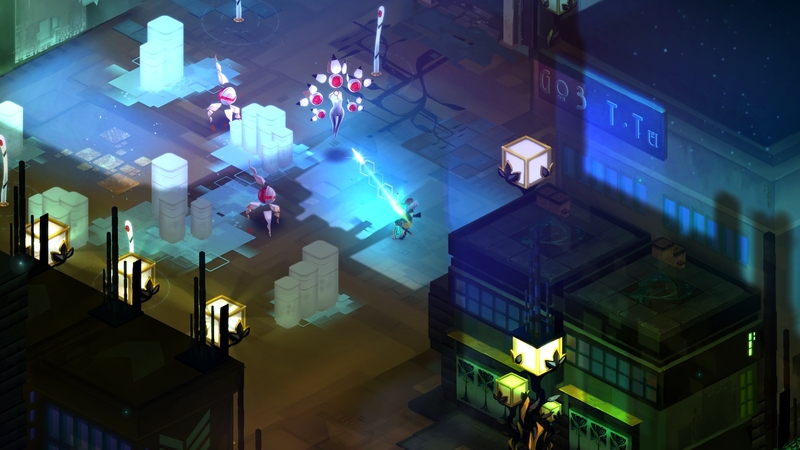 For the uninitiated, Supergiant is behind some of our favorite games, including Transistor. We got to talk to Greg about his thoughts on design, the games industry, and Supergiant’s upcoming project PYRE. Thank you so much for joining us for The Dialogue. Tell us a little bit about yourself. Hey, thank you in turn! I do writing and design work on our games over at Supergiant. We’re a small team based in San Francisco, and have made two games thus far, called Bastion and Transistor. 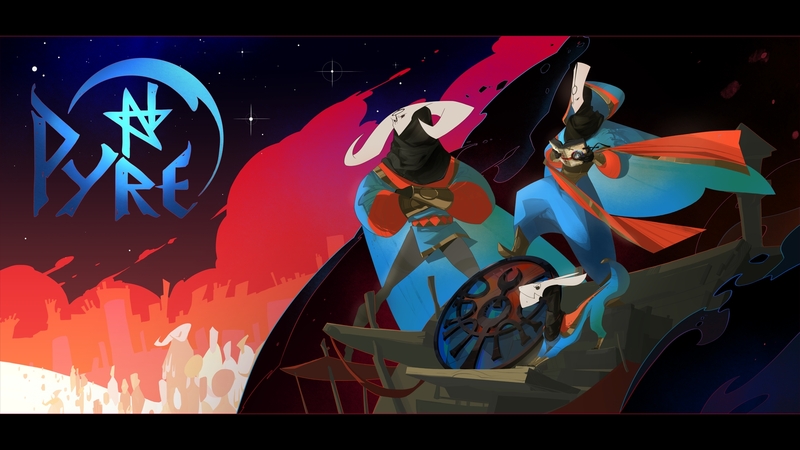 Now we’re working on a third game, Pyre. In addition to working at a small independent game studio I’ve worked in a number of other capacities when it comes to games. I was a producer at 2K Games on a military shooter called Spec Ops: The Line. Prior to that I worked as a producer on the Command & Conquer series at Electronic Arts, which was where I met the guys who formed Supergiant back in 2009. And then prior to getting into game development, I worked in the gaming press for more than 10 years, most notably at GameSpot where I was editor-in-chief. I’ve been playing games since my earliest memories and always wanted to make them, so I guess in some respects I’ve been living the dream…! It’s been a real roller-coaster ride but I feel very grateful that I get to do this stuff for a living. Supergiant Games is known for fantastic art and music. But something that I haven’t seen mentioned often enough is the quality of its user interfaces. Transistor has one of the best interfaces I’ve seen in gaming. It even beats XCOM: Enemy Unknown. How important is good interface design in games according to you? Thanks for picking up on this! The user interfaces of our games are extremely important to us. We want our games both to be very approachable and easy to pick up and start playing, and we also want them to have a very strong sense of place and atmosphere — and a good UI is capable of achieving both these things. 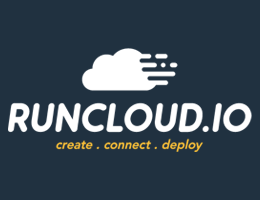 We like for our interfaces to give players a closer look into the worlds of our games, in addition to letting them access our systems quickly and easily. Interface design is always a challenge since it requires so much collaboration and iteration to get it just right! 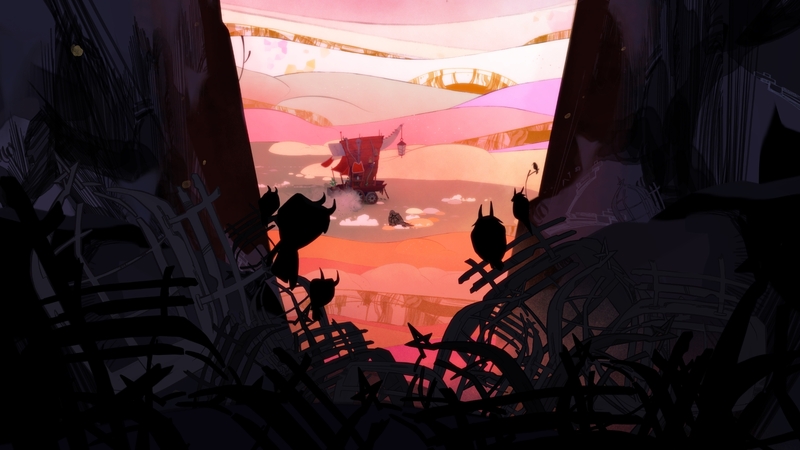 Pyre is about a group of exiles struggling to earn back their freedom from a mystical purgatory, where they have to conduct a series of ancient competitions spread across the land. You’ll have to decide where to go and how to spend your time, then lead your fellow exiles through these competitions known as the Rites. We think it’s rather different from our previous games despite having a lot of the qualities that I think will be important to us in anything we make. We love creating the worlds and characters for our games. However, our first two games have very few characters in them by nature of their stories. So we got excited by a concept involving a larger cast of characters you could get close to over the course of a grand journey together. We liked the idea of these characters of all shapes and sizes having to depend on one another to achieve a shared goal as well as their own personal goals. A lot of other thoughts fell into place from there, resulting in the change of gameplay genre and many other specific aspects of Pyre. We were attracted to a setting where these characters were exiles trying to earn back their freedom, and having to confront other exiles whose own freedom was at stake. This interview was made possible by the support of the CrowdCafé team for sponsoring us this week with Magnet — The excellent Window Manager for Mac. What are your thoughts on the current console landscape with rumored mid-generation hardware refreshes and the state of the handheld gaming landscape in the West? It’s a pretty exciting time for consoles I’d say! I remember a fair bit of doom and gloom out there before the launch of the PlayStation 4 and Xbox One, but now it seems clear that console gaming isn’t going anywhere anytime soon. 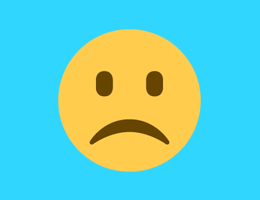 Overall my attitude always tends to be wait-and-see but I inherently want for console gaming and handheld gaming to continue to grow and thrive. Handheld gaming of course has changed a lot with everyone having smartphones these days, though I still personally enjoy playing games for my 3DS and Vita. I’m really interested to see what Sony, Microsoft, and Nintendo all do next. I’ve learned to expect the unexpected when it comes to this stuff. 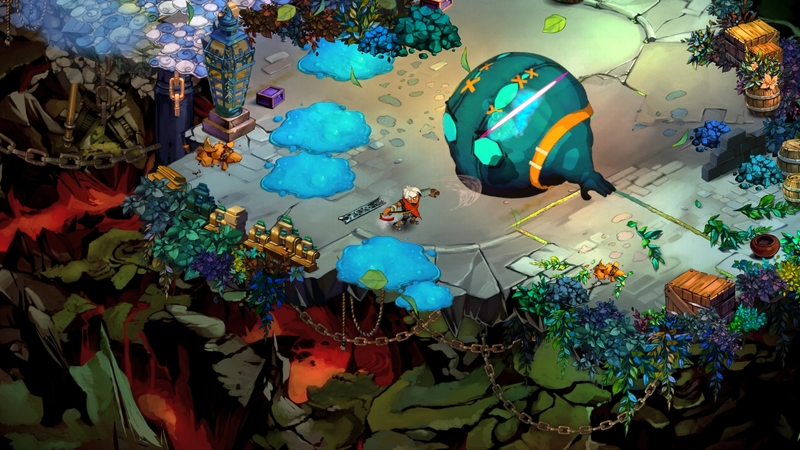 Supergiant has found success on iOS with Bastion and Transistor. What do you think of iOS and Android as gaming platforms? I have an iPhone and love playing games on it. Hearthstone is easily my most-played game of the last two years and these days I play it on my phone more than on my PC. Just having access to deep and interesting games on the go I think is really great. An aspect of gaming on these devices that I value even more, though, is just how quick and easy it is to start playing. Ironically it reminds me more of classic console gaming than modern consoles do, with their loading times and plash screens and big day-one patches and all that. On my phone, if I want to play a game I can start playing it in seconds. Yeah I can’t play Uncharted 4 that way but I appreciate having access to both types of experiences. On a typical day, I show up at the studio and make sure I have the latest build of the game. Then I typically start chipping away at one of the tasks on my plate. We use a pretty straightforward system for task tracking and tend to work through that stuff in whatever order we feel is best. In my case I do a combination of writing, design, and scripting on a day-to-day basis. So, these days I’m trying to push forward on Pyre, creating new events for the game, defining new locations on the world map, writing new characters, and getting all of it implemented and function. There’s a lot of iteration — playing the stuff you made or other folks made, and refining that or giving feedback. We collaborate a lot on the team, so I might talk story and design stuff with Amir (our studio director, who does much of the design work on our games), or work with Darren (our composer and audio director) on some fancy idea we’ve come up with for interactive music, and so on. I try to keep my schedule pretty open and spend as much of my time as I can just working on the game or playing it. What are your most widely used pieces of software on mobile and on your computer? Does Hearthstone count? Certainly on mobile that’s been a big one for me. I use pretty basic stuff on PC, including things like Notepad for jotting down notes. I use Chrome and Twitter as the bread and butter of my Internet experience, and spend plenty of time using Steam as well. For work we use pretty standard stuff like Visual Studio, though we also have our own proprietary tools for the games we make, and I spend a lot of time with those. Are you looking forward to any specific hardware announcements and what would be your dream setup for work and at home? I’m quite excited for the Nintendo NX unveiling, whenever that comes. I grew up playing Nintendo games among many others and I think when Nintendo brings its best, it makes some of the best games available. I’m excited to see where their next gaming hardware goes. In terms of my dream setup for work and at home, I think my dreams there are mostly rather modest, although if I dreamed a little bigger I suppose I’d have some full-on historic game library with classic consoles and a classic arcade. Come to think of it I’ve always wanted to own a classic arcade cabinet of some sort, probably a fighting game though older stuff is fine too. I never have though. I do have a good amount of now-classic games all boxed up for posterity, in case one day I do decide to get a little more ambitious on this front. E3 is nearly upon us. What are you looking forward to the most at at the event? I like to expect the unexpected at E3. I’m looking forward to seeing games I’ve never seen or heard anything about before. I guess in the spirit of my Nintendo response, I’m also looking forward to seeing the latest on the next Zelda game. Overall though I like going into E3 with an open mind. Hearthstone and Clash Royale have been my go-to games so far in 2016, but I’ve been playing a lot of other stuff too lately. I just got through both Uncharted 4 and the new Doom, each of which I thought was fantastic in its own right. Doom in particular was a very pleasant surprise — Uncharted 4 had higher expectations to live up to with me, which it certainly did. I’ve also been playing Overwatch and Street Fighter V, so overall, I’ve been leaning more toward competitive games in my spare time for whatever reason. Many thanks to Greg for his time, especially since E3 is just a week away. We at Beautiful Pixels are looking forward to PYRE.